Jupiter will be in star of Jupiter up to 16-01-2014. Due to retro effects Jupiter will be in star of Rahu from 16-01-2014 to 25-04-2014. Jupiter will enter in Cancer sign on 19-06-2014 but will be in his own Nakshatra. Jupiter will enter in its own Nakshatra from 25-04-2014 to 04-07-2014. Jupiter will be in Nakshatra of Saturn from 04-07-2014 to 03-09-2014. Jupiter will be in Nakshtra of Mercury 03-09-2014 onwards. For Aries Sign, Jupiter is the Lord of 9th and 12th houses. As per Nakshatra Horoscope 2014, Jupiter will be placed in his own Nakshatra up to 16-01-2014. As such, Aries people may face some problems in job/professions; there are chances for long/spiritual journey in this period. 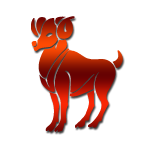 Aries people will get support from father, law, communication and teachers. Jupiter Nakshatra Horoscope 2014 says that you need to control your expenses. You may travel much; if you are a competent business person then you will have to work hard. Jupiter will be in Star (Nakshatra) of Rahu, from 16-01-2014 to 25-04-2014. Rahu is placed in 7th house in Libra sign of Venus, so there will be influence of Venus in this period. As Venus is the Lord of 2nd and 7th houses for Aries Sign, this will be a good time for business and finance but one may have disputes and problems with life/business partner. So, there are gains in business, but Rahu placed in 7th may give some problems in relation with marriage or business partner. Need to take care of health also in this period. Jupiter will be again in his own star from 25-04-2014 to 04-07-2014, says Jupiter Transit 2014. As such, there may be some problems in profession and job, time is good for spiritual and long journeys. As per Nakshatra Astrology 2014, over all time is not that good, there may be high expenses and traveling. Jupiter will be in star of Saturn from 04-07-2014 to 03-09-2014, as Saturn is the Lord of 10th and 11th houses, this period will be good for job and professional matters. Overall, income will be good. According to the 2014 Horoscope of Nakshatra, one may get slow but there will be permanent growth. Jupiter will be in star of Mercury from 03-09-2014 onwards upto the end of year. Mercury is the Lord of 3rd and 6th houses for Aries sign, so need to avoid taking unnecessary risks, although it will be a good time for commutative exam and interviews. Domestic matters and relation with spouse may require attentions as there may be chances for disputes. Health may be another problem in this period. For Taurus sign, Jupiter is the Lord of 8th and 11th houses and transit of Jupiter will give following results in this year for Taurus people. Up to 16-01-2014, Jupiter will be placed in its own Star (Nakshatra), in this period Taurus people are likely to feel lonely. However, connection of 8th house to 11th house may give them sudden gains. According to the Nakshatra Horoscope for 2014, overall income will be good but there will be disturbance in every task and results will come after hard work. There will be gain from spouse, paternal property or in laws. The period will not be good for health, but this will be a good time if you are thinking to go for a medical help or surgery. Jupiter transit in star of Rahu from 16-01-2014 to 25-04-2014 can give you health problems, breakups/problems in married/love life, disputes, litigations etc. As Rahu will be placed in Libra in 6th house for Taurus sign, Rahu will be in influence of Venus in this period and Venus is the Lord of 1st and 6th houses. Health, married life, business requires more attention in this period. If you are trying for loan, time is good - says Jupiter Transit 2014. As per the 2014 Horoscope of Nakshatra, your enemies will be on back foot, but there will be mental stress for you. Jupiter will enter in its own star again from 25-04-2014 to 04-07-2014, so this time will give some relief in health problems and overall gains but after some hurdles and hindrances. According to the Nakshatra Astrology 2014, again you may get support from spouse and in laws. Also, there may be some sudden rise in income; chances to get some un-earned money and gifts are there in fate. Jupiter will be in star of Saturn from 04-07-2014 to 03-09-2014. Saturn is the lord of 9th and 10th houses for Taurus sign, so this transit of Jupiter will do well at professional front. However, you will not get quick results but they will be good and stable. There will be good support from government, higher authorities and communication. Jupiter will be in the star of Mercury from 03-09-2014 onwards to the end of the year. 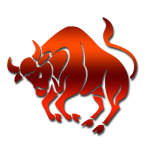 Mercury is the Lord of 2nd and 5th houses for Taurus sign, this will be good period for finance and fame, there will be support from children. The time is good for promotions and job change. The period will also be good for family life. 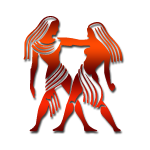 Gemini is the 3rd sign of zodiac and Jupiter is the lord of 7th and 10th houses. Nakshatra transit of Jupiter in his own star up to 16-01-2014, it will be a good period for married life, business and profession etc. You will be able to make adjustments in domestic and professional matters. Time is good for taking new decisions in job and business. As per Nakshatra Horoscope in 2014, transit of Jupiter in star of Rahu for Gemini people from 16-01-2014 to 25-04-2014 will be good for education and female children but need to take care of health for male children. You may feel emotional and love life seems mixed in this period. Rahu will be in Libra sign of Venus and Venus being lord of 12th and 5th houses, can give physical pleasures and happiness but there is danger of being cheated too. One may get some insults too. Loss in job is also visible in this period. From 25-04-2014 to 04-07-2014, Jupiter will be back in his own star and as we said earlier, transit of Jupiter in his own star will give good results for Gemini people. Further, this is a good time as for as married life and profession is concerned. After facing problems in profession and job during transit of Rahu star, this Jupiter transit period will give relief and you can think for new ventures. Jupiter will be in star of Saturn from 04-07-2014 to 03-09-2014, as per Jupiter Transit 2014. Saturn is the lord of 8th and 9th houses for Gemini sign, as such luck will support after some problem and hindrance but, Saturn will bless after hard-work. Nakshatra Astrology 2014 says that this is not good time for professional matters; there will be problems in working environments. According to the 2014 Horoscope of Nakshatra, this period requires attention in all areas of life as married, domestic, professional, health etc. This is not a good time for making good decisions. One may visit a holy place in this period and some religious work is supposed to be done. Jupiter will transit in star of Mercury from 03-09-2014 onwards; this period will throw some light on your domestic life and health. Support from property and mother will be there, you can make some good decisions in this period. Period will not be good for finance and children. Cancer is the 4th sign in our zodiac and ruled by Moon and Jupiter is the lord of 6th and 9th houses for Cancer sign. 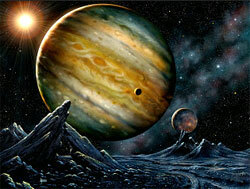 Jupiter transit will be in his own star up to 16-01-2014, which is not a good time for business and married life. It is a mixed period for job and profession, there will be ups and downs in this period. If you are going under any sickness, the time will give you some relief. Patience is required in this period and in the last, luck will support after some hindrance. According to the Nakshatra Horoscope 2014, transit of Jupiter in star of Rahu for cancer people from 16-01-2014 to 25-04-2014, will be good. Rahu will be in Libra sign and under influence of Venus. If you are thinking of purchasing a vehicle, time is good, overall gain is there. There may be some bad news about health. The time is to enjoy domestic happiness, according to the Jupiter Transit 2014. Jupiter will be back in his own star from 25-04-2014 to 04-07-2014. 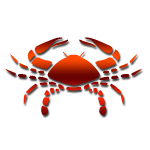 As Jupiter is the lord of 6th and 9th houses for Cancer sign, Cancer people need to take care of their job and personal relations. From 04-07-2014 to 03-09-2014, Jupiter will enter in star of Saturn. Saturn is the lord of 7th and 8th houses for Cancer Sign, so if you are in business, time is not good for taking new decisions. Married life will also require more attentions. Overall time may cause troubles for you. This period will also not be good for Cancer people. As per Nakshatra Astrology 2014, Jupiter will transit in star of Mercury from 03-09-2014 onwards. Mercury is the lord of 3rd and 12th houses for Cancer sign, so there are losses through communications, courageous efforts, wrong decisions etc. As per 2014 Horoscope of Nakshatra, your will power may be damaged; some unwanted travels may be there, which may give some losses. So every aspect of life needs proper attentions in this period. Do not try anything new. 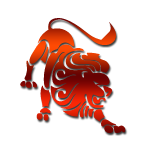 The 5th sign of Zodiac, Leo is ruled by Sun and Jupiter is the lord of 5th and 8th houses for this sign. Jupiter transit will be in own star up to 16-01-2014. The period will not be that good for job and personal matters, one may face problems in working environments and chances for losing a job are there. Leo people can become emotional and materialistic too. The overall period will not be good for children, education and relation with partner. Jupiter will transit in star of Rahu for Leo people from 16-01-2014 to 25-04-2014. Rahu is placed in Libra, sign of Venus, in 3rd house. 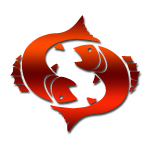 As such Rahu is under effect of Venus, so the period will be good for job, communication and daring activities. As per Nakshatra Horoscope for 2014, there will be success in interviews and competitive exams. Good time to take initiatives and communicate in professional and personal matters, says Jupiter Transit 2014. Though there may be some problems in domestic matters. After 25-04-2014 to 04-07-2014, Jupiter will enter in its own star. Leo people need to take care of their job and personal relations because Jupiter is the lord of 5th and 8th houses, as such the period will be mixed. From 04-07-2014 to 03-09-2014 Jupiter will be in star of Saturn and Saturn is the lord of 6th and 7th houses for Leo sign. Losses in business are there, relationship requires more attentions as there are chances for disputes and litigations. Nakshatra Astrology 2014 says that the time is not good overall. There may be health problems too in this period. Jupiter will be in star of Mercury from 03-09-2014 onwards, Mercury is the lord of 2nd and 11th houses for Leo Sign. According to the 2014 Horoscope of Nakshatra, this period is going to be excellent for finance and income. The period is good for every aspects of life as health, communication etc. There may be some extra gain in terms of income. Virgo is the 6th sign of zodiac and ruled by Mercury, Jupiter is the lord of 4th and 7th house for Virgo sign. Jupiter will be in his own star up to 16-01-2014, as Jupiter is the lord of 4th house and 7th house, the period will be good for property and Married life. However this might be a problematic period for children and love affairs. According to the Nakshatra Horoscope 2014, there will be support from mother and partner. Good time for business especially if related to education, vehicle and property. As per the Nakshatra Astrology 2014, Jupiter will enter in star of Rahu 16-01-2014 to 25-04-2014. Rahu placed in Libra sign of Venus in 2nd house, is a good time for financial matters. But, you may need precaution in making big decisions, there may be some problems in family matters, but ultimately luck will support you. Your confident will be high, you can make courageous decisions and you will be able to express yourself successfully � says Jupiter Transit 2014. If you are in media, you will be doing good job. After 25-04-2014 to 04-07-2014, Jupiter will enter in its own star and this period will be good for business, new ventures, partnerships and relation with spouse. Over all time seems good for Virgo people. From 04-07-2014 to 03-09-2014 Jupiter will be in star of Saturn and Saturn is the lord of 5th and 6th houses for Virgo sign. So during this time Virgo people need to take care of their relationships, new love affairs may start with a new job. There may be some loans and finance may give some problems. Jupiter will be in star of Mercury from 03-09-2014 onwards. As per the 2014 Horoscope of Nakshatra, Mercury is the lord of 1st and 10th houses of Virgo sign; this will be a good period for job and professions. Your relationship with clients and supervisors will flourish. But at the same time, attentions towards family life and marital relationship will acquire attentions and care, there are chances for problems. Venus ruled Libra, the 7th sign of zodiac. Jupiter is the lord of 3rd and 6th houses for Libra Sign. Jupiter transit will be in own star up to 16-01-2014. 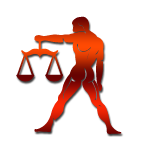 As Jupiter is lord of 3rd and 6th houses, Libra people may lose if they take unnecessary risks. As per Nakshatra Horoscope 2014, health may be another problem in this period. This will be a good time for competitive exams and interviews. Domestic matters and relation with spouse may require attentions as there may be chances for disputes. Transit of Jupiter in star of Rahu for Libra people is from 16-01-2014 to 25-04-2014. Rahu is placed in Libra sign of Venus in 1st house and under the influence of Venus. Venus is the lord of 8th and 1st houses and transit of Jupiter in Rahu star may give some problems in health and litigations. Libra people may feel loneliness in this period. Over all the time is not good, mental stress, problems in job and relationship is indicated. According to the Nakshatra Astrology 2014, Libra people may be over-ambitious, which is not good, they may seek pleasures. After 25-04-2014 to 04-07-2014, Jupiter will enter in its own star and this period will be good for health and relationships. There may be some good steps towards career but overall time is not good. Libra people need to be patient and calm in this period. According to the Jupiter Transit 2014, from 04-07-2014 to 03-09-2014 Jupiter will be in star of Saturn and Saturn is the lord of 4th and 5th houses for Libra sign. The period will be good for domestic matters, changes in job, promotions are indicated. Time will be good for property matters, children and education. Libra people need to take care of mothers health in this period. Jupiter will be in star of Mercury from 03-09-2014 onwards. Mercury is the lord of 12th and 9th houses for Libra sign; Libra people may face some problems in Job/Professions. According to the 2014 Horoscope of Nakshatra, there are chances for long/ spiritual journey in this period. You will get support from father, law, communication and teachers. You need to control your expenses. You may travel much, if you are a businessperson then you will have to work hard. 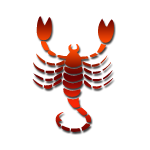 The 8th sign of zodiac, Scorpio is ruled by Mars and Jupiter is the lord of 2nd and 5th houses for this sign. Jupiter transit will be in own star up to 16-01-2014. Jupiter is the lord of 2nd and 5th houses for Scorpio sign. This will be good period for finance and fame; there will be support from children. According to the Nakshatra Horoscope 2014, the time is good for promotions and job change. The period will also be good for family life. Transit of Jupiter in star of Rahu for Scorpio people is from 16-01-2014 to 25-04-2014. Rahu placed in Libra sign of Venus in 12th house. Nakshatra Astrology 2014 says that Venus is the Lord of 7th and 12th houses. If you are in export import type business, time will give new opportunities but there can be losses in overall business. Expenses will be high for Scorpio people; there may be some travel also to distant places and losses too. Need to take care of health and relationships as time is not good. After 25-04-2014 to 04-07-2014, Jupiter will enter in its own star. Jupiter is the lord of 2nd and 5th houses, as per Jupiter Transit 2014. This time will keep you relaxed and there will be gain in finance, fame, education, children and family. There may be positive changes in working environments. From 04-07-2014 to 03-09-2014, Jupiter will be in star of Saturn and Saturn is the lord of 3rd and 4th houses for Scorpio sign. If you want to sell a property or if you are in business of property, or objects below the earth like, petroleum, iron etc, or construction, this time will be good and you may get new opportunities. Health of mother needs attention. This is a good time for communication. Jupiter will be in star of Mercury from 03-09-2014 onwards, Mercury is the lord 8th and 11th houses. In the transit of Jupiter in this period, sudden gain is indicated. There will be some problem, litigation too, which may be beneficial at the end. Money will come after some hurdles. According to the 2014 Horoscope of Nakshatra, time is good for income but not good for personal relations and happiness. 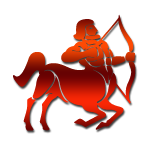 Sagittarius, owned by Jupiter itself, is the 9th sign of zodiac and Jupiter is the lord of 1st and 4th houses. Jupiter transit will be in its own star up to 16-01-2014. Jupiter is the lord of 1st and 4th houses of Sagittarius sign. This period will throw some light on your domestic life and health, support from mother will be there, you can make some good decisions in this period. This is a good time for finance and children. As per Nakshatra Horoscope 2014, transit of Jupiter in star of Rahu for Sagittarius people is from 16-01-2014 to 25-04-2014. Rahu is placed in Libra sign of Venus. Venus is lord of 6th and 11th houses; the period clearly indicates that this time will be good for your enemies. Nakshatra Astrology 2014 forecasts success in court cases, competitive exams are there. If you are looking for a loan, you will get it, you can pay your old debts too in this period. Need to be careful in relations with marriage and business partner. There will be betterment in health problems. After 25-04-2014 to 04-07-2014, Jupiter will enter in its own star again as Jupiter is the lord of 1st and 4th houses of Sagittarius sign. Jupiter Transit 2014 says that this period will throw some light on your domestic life and health, support from property and mother will be there, you can make some good decisions in this period. From 04-07-2014 to 03-09-2014 Jupiter will be in star of Saturn and Saturn is the lord of 2nd and 3rd house for Sagittarius sign. The time will be good for finance, savings and communication. Time is good for short journeys and meetings, launching new products, marketing, advertisements etc. Jupiter will be in star of Mercury from 03-09-2014 onwards. 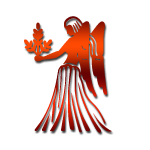 Mercury is the lord of 7th and 12th houses for Sagittarius sign. It will be a good period for married life, business and profession etc. According to the 2014 Horoscope of Nakshatra, you will be able to make adjustments in domestic and professional matters. Time is good for taking new decisions in job and business. 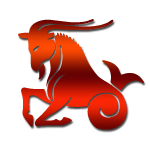 Capricorn is 10th sign of zodiac and ruled by Saturn. Jupiter is the lord of 3rd and 12th houses for this sign. Jupiter transit will be in own star up to 16-01-2014, so there are losses through communications, courageous efforts, wrong decisions etc. Your will-power may be damaged; some unwanted travels may be there, which may give you some losses. So every aspect of life needs proper attentions in this period. Do not try anything new. Transit of Jupiter in star of Rahu for Capricorn people is from 16-01-2014 to 25-04-2014. Rahu placed in Libra sign of Venus in 10th house, Venus is the lord of 5th and 10th houses. Time is good for job change, promotions and success in politics. Nakshatra Astrology 2014 says that there will be support of supervisor and you will present yourself in good way in profession. According to the Nakshatra Horoscope 2014, time is also good for romance, children and education. After 25-04-2014 to 04-07-2014, Jupiter will enter in its own star, as Jupiter is the lord of 3rd and 12th houses for this sign. Time is not favorable for you to try something new as your decision may be wrong and can give you losses. You are trying to propose to your wife/Girlfriend, or you are trying to convince someone or going for an interview, there are losses and failure. As per Jupiter Transit 2014, such kind of things needs to be avoided. From 04-07-2014 to 03-09-2014 Jupiter will be in star of Saturn and Saturn is the lord of 1st and 2nd houses for Capricorn sign. Time is good for financial matters and there are gains. Family support will be there. Overall time is good for family, education and finance. You can enjoy this period. Jupiter will be in star of Mercury from 03-09-2014 onwards. Mercury is the lord 6th and 9th houses for Capricorn sign. Not a good time for business and married life, period will be mixed for job and profession; there will be ups and downs in this period. If you are going under any sickness, the time will give you some relief. As per the 2014 Horoscope of Nakshatra, patience is required in this period and in the last, luck will support after some hindrance. 11th sign of zodiac, is ruled by Saturn. Jupiter is lord of 2nd and 11th houses for this sign. Jupiter transit will be in own star up to 16-01-2014 that will give good money to Aquarius people. Time will be good for finance, money and family. Time is good to take financial decisions. Transit of Jupiter in star of Rahu for Leo people is from 16-01-2014 to 25-04-2014. Rahu placed in Libra sign of Venus in 9th house, Venus is lord of 4th and 9th house for this sign. There will be some problems in job and with father. If you are in educational or communication field, time is good for you. As per Nakshatra Horoscope for 2014, there will be battement in health and property matters. After 25-04-2014 to 04-07-2014, Jupiter will enter in its own star and Jupiter is lord of 2nd and 11th houses. This period is going to be excellent for finance and income. The period is good for every aspect of life as health, communication etc. There may be some extra gain in terms of income. From 04-07-2014 to 03-09-2014, Jupiter will be in star of Saturn and Saturn is the Lord of 1st and 12th houses � says Jupiter Transit 2014. Your decisions may be wrong in this period, expenses and losses are there. Time is not good for health and relationships. 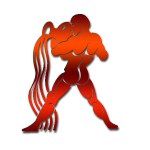 Aquarius people need to avoid any new ventures and financial matters. There may be some problems in job matters too. Jupiter will be in star of Mercury from 03-09-2014 onwards. Mercury is the lord 5th and 8th houses for Aquarius sign. Nakshatra Astrology 2014 predicts that the period will not be that good for job and personal matters. One may face problems in working environments and chances for losing a job are there. According to the 2014 Horoscope of Nakshatra, Leo people can become emotional and materialistic too. The overall period will not good for children, education and relation with partner. The 12th and last sign of Zodiac is ruled by Jupiter and Jupiter is lord of 1st and 10th house for this sign. Jupiter transit will be in its own star up to 16-01-2014. Being lord of 1st and 10th houses, Jupiter is its own star and will give good results. As per Nakshatra Horoscope 2014, this will be a good period for job and professions, you can take some good steps towards your job and that can help you. You will deal with clients and supervisors in a superb way. But at the same time, attentions towards family life and marital relationship will acquire attentions and care, there are chances for problems. Transit of Jupiter in star of Rahu for Leo people is from 16-01-2014 to 25-04-2014. Rahu placed in Libra sign of Venus in 8th house. Venus is lord of 3rd and 8th houses for this sign. The period is not good overall; your courageous decisions may give you losses. Health is another problem is this period. Any major meetings, risk, new ventures should be avoided as there are chances for losses. As per Jupiter Transit 2014, there will be problems in job too. After 25-04-2014 to 04-07-2014, Jupiter will enter in its own star and this transit will give some relief as Jupiter will give you good results. There may be some good news in career. Time is good, you need to utilize it in job and professional matters, along with this you need to take care of your family and married life as there may be some misunderstandings. From 04-07-2014 to 03-09-2014 Jupiter will be in star of Saturn and Saturn is the lord of 11th and 12th houses for Pisces sign. Some foreign connections will be beneficial for you. You need to handle your business and professional matters with care. As 12th house is also there in picture, there are some losses related to health and relations. Overall this will be a mixed period for you. As per Nakshatra Astrology 201, Jupiter will be in star of Mercury from 03-09-2014 onwards. Mercury is the lord 4th and 7th house. This period will be good for married life, domestic matters and business. The period can give some time to relax and enjoy property, vehicle and family. As per the 2014 Horoscope of Nakshatra, relation with married and business partners will be good. There are some problems with children, this area requires some attentions.